The regrouper — also sometimes referring to as the restructuring feature — is the the feature that groups keywords together in tightly themed families. This improves relevance between keywords and ads and sets the stage for having highly targeted ads. Click the button "Regroup" button where you see it. The tool will start running and create new ad groups themed in closely related families. 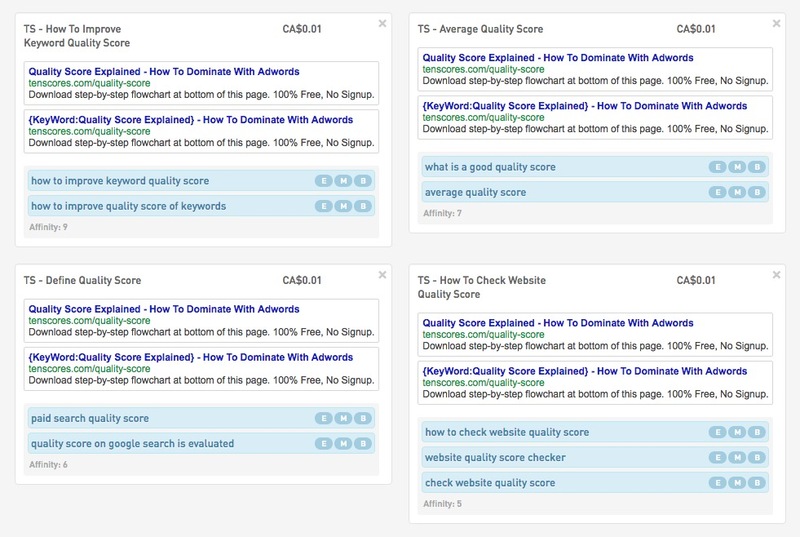 It also takes the best performing ad to use with the ad groups as the first ad, and for the second ad it creates a clone of the first one but changes the headline to use Dynamic Keyword Insertion (DKI). The way the ads are created is acceptable but not ideal. The ideal way would be to manually create new ads tailored to the ad groups. If you have the time, that's what you should do to maximize results. 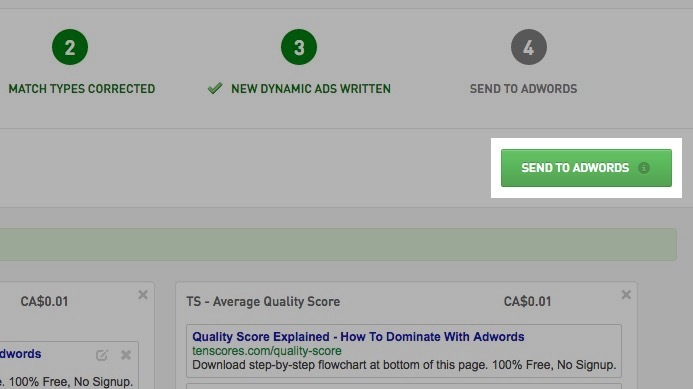 Once everything is ready to be sent to your Adwords account, click the "Send to Adwords" button. The next page will ask you to confirm before the new ad groups are actually sent. 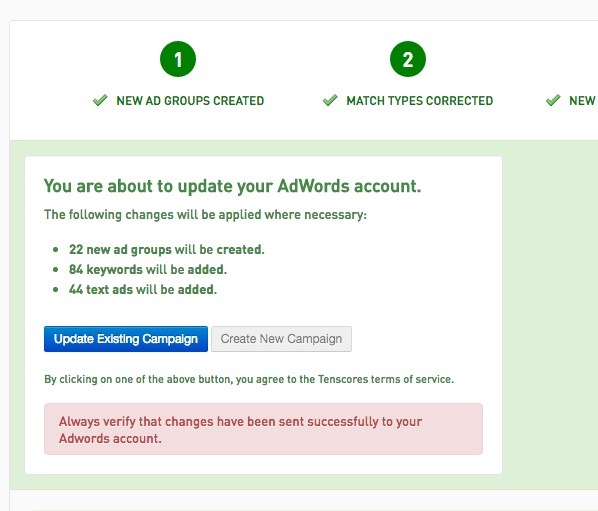 If you regrouped a campaign, you'll have the choice to update that campaign by pausing the old ad groups and creating new ones, or create a new campaign which will pause the old campaign a create a new one.